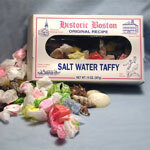 Assorted flavors of old-fashioned salt water taffy. 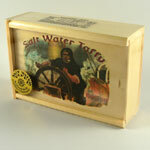 A taste of old New England. Bag is approximately 4 inches wide by 6 inches high. 6 ounces. Approximately 20 pieces per bag.